Welcome to Part 3 of Fiction Fundamentals. When I approached the topic of writing great characters, I didn’t realize how much information you, New Writer, should know about what really makes them sizzle until I went back and looked at the pages of notes I’d collected and the long list of bookmarks in my browser. I’ve been absorbing this for over three years, between classes at McDaniel, blog posts I’ve read, conference lectures I’ve attended, and web classes I’ve taken. Rather than write a 10K word blog post (because really, I could, there’s so much great info about writing good characters), I’m going to share a couple pearls of wisdom that have been especially helpful to me, then point you in the direction of several blogs and websites with information that’s too good to condense or water down. So…pearls of wisdom…things I wish I knew when I started writing. I have three. I discussed this a little bit when talking about conflict last time. As much as you love your characters, you have to love making their life difficult even more. They have to struggle. They have to overcome seemingly insurmountable odds. They have to fight for what they want. Simply giving characters what they desire is too easy and doesn’t give the reader any reason to invest in them emotionally. Think about real-life stories of people achieving great things despite severe adversity…those are the stories we cherish and weep over. Not stories of poor little rich girls who are handed everything to them on a silver platter. Jenny Crusie told us once that she was advised to “throw a rock” at her character to make things more difficult, and so she did. Literally. You must do the same (although perhaps not literally). As much as you may want to give your character a little something, you may serve them (and your reader) better by actually taking something away. So gather a bunch of rocks and boulders of adversity and difficulty, then reach into your basket and grab one when things start to settle down for your characters. We need good guys and bad guys in our stories, but the best good guys and the worst bad guys shouldn’t be shallow, meaningless characters. They should have depth and complexity, as well as a mix of good and bad. Nothing can be more interesting than a good character that does bad and a bad character that does good. So mix things up. Look to real life. 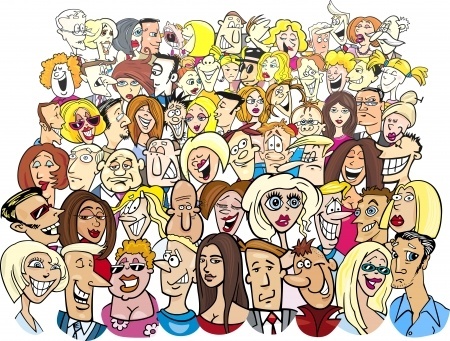 We humans are incredibly complex individuals, and your characters should be, too. No one is really all good. Nor are they all evil. Even bad guys think that what they’re doing is justified. So help us see that in them. Layer in personality, emotion, feelings, and a really good goal and motivation. In Story Structure Safari, our instructor, Lisa Miller, has us fill out a sheet for our characters. We have to identify our character’s internal and external goal, then turn that around. The internal goal becomes the character’s fatal flaw. The external goal flips to become the obstacles statement – basically the reason the character can’t achieve their goal. When you look at your character in terms of their flaw (for example, defying your heart) and their obstacles (remain disconnected from people), you can start to think up situations and challenges that go right to the heart of who they are, what they fear, and what they most desire. This last nugget isn’t so much about your character per se as it is the words, images, and similes/metaphors you use for them in your writing. Think about your character’s history, their beliefs, their flaws/obstacles, and what their life currently is, then use that to describe their world. I won’t go into too much detail about this in this post, because I already blogged about it here. However, crafting your story using their world as a reference point will make your story stronger and your characters deeper. There are tons of great resources online about writing excellent characters. I’ve listed 9 below. I encourage you to check them out and see what each of these folks has to say, because all of it will help build a great foundation for creating awesome characters. Yes, this article by Noam Kroll is geared towards screenplays, but everything he says rings true for novels, too. This is a great “first step” towards creating compelling characters. IMHO, this is the ultimate list of what you need for your character to resonate with your reader. Chuck is snarky and some of his stuff is NSFW, so be prepared. This post by Jeff Gerke is a great foundation for creating compelling characters. James Bonnet, well-known story consultant, talks about creating dominant traits in your characters in order to make them memorable. This short article by Rebecca McClanahan goes into the physical aspect of your character and how to describe them, which can be just as important as the personality of your character. This is a great article by our mentor, Jennifer Crusie, about engaging the reader even when characters do unlikable things. It’s an extension of my #2 above, but she’s got some great nuggets in there that are worth reading. In this short-but-sweet article, Julie Glover gives some great tips to un-stereotype your character. This article by Laura Drake is actually based on notes she took at last year’s RWA conference and the workshop she attended given by Michael Hauge, story expert, about romance between characters…some of it very thought-provoking. This brief article by Michael Hauge is a great read about introducing your characters. Yes, it’s geared more towards film, but there are definitely some takeaways that apply to fiction, as well. I hope this helps you on your way to developing great characters. What other tidbits of wisdom have you gleaned over the years? What has helped you create awesome characters? This entry was posted in Character and tagged #amwriting, Antagonist, building character, character, character agency, character arc, character development, Chuck Wendig, eight ladies writing, fiction writing, james bonnet, jeff gerke, Jennifer Crusie, Justine Covington, laura drake, Lisa Miller, michael hauge, monthly writing goals, motivation, newbie writer, noam kroll, rebecca mcclanahan, romance writing, writing, writing character, writing process, writing tips, writing tricks. Bookmark the permalink. Hi Rachel! Glad you found some good reading. I’ve been reading a series of books by a historical romance author and they’re starting to get extremely predictable, almost formulaic. Made me think to myself that in each of my books (whenever I get around to writing them), they have to evolve differently, as do the characters. Even the characters are becoming predictable! I will keep reading articles about what makes characters unique so I (hopefully) don’t fall into a character rut. Thanks for all the great resources, Justine. I think you just helped me put my finger on why The Demon’s in the Details isn’t working! Yay! Always good when you figure out the answer to a problem! (-: Just a quick notice — have y’all seen that Jenny’s put up the WIP where had someone throw a rock at someone? Nine chapters of goodness with Liz Danger and Vince the Cop and a cast of Very Many. Really enjoyable, but WARNING: cliff-hanger ending (since it’s only nine chapters) and no promises that the book will ever get finished. In the words of Jenny…ARGH! What a tease to do that! I’ll have to check out the WIP, though. I haven’t seen it yet. Thanks for letting us know!